wedding as she opted for a second dress which was as beautiful as her bridal gown. Find out all the details next! 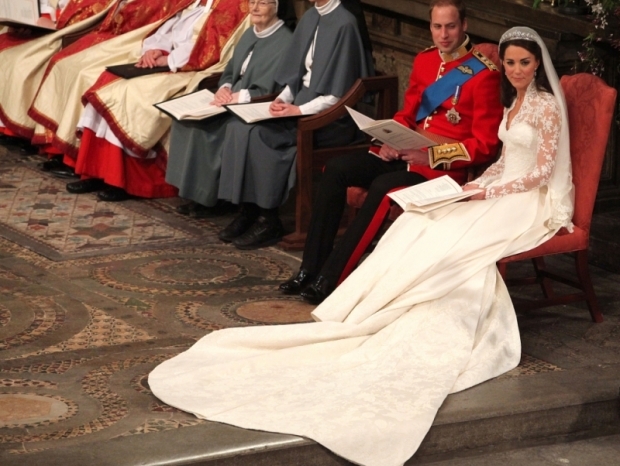 Apparently it's not uncommon for royals to have an extra wedding dress standing by in case anything is revealed before their big day, and Kate Middleton, now Catherine, Duchess of Cambridge, made no exception. It's been rumored that the royal bride didn't have one, but two extra wedding dresses designed just so she could be sure nothing ruins her big day. 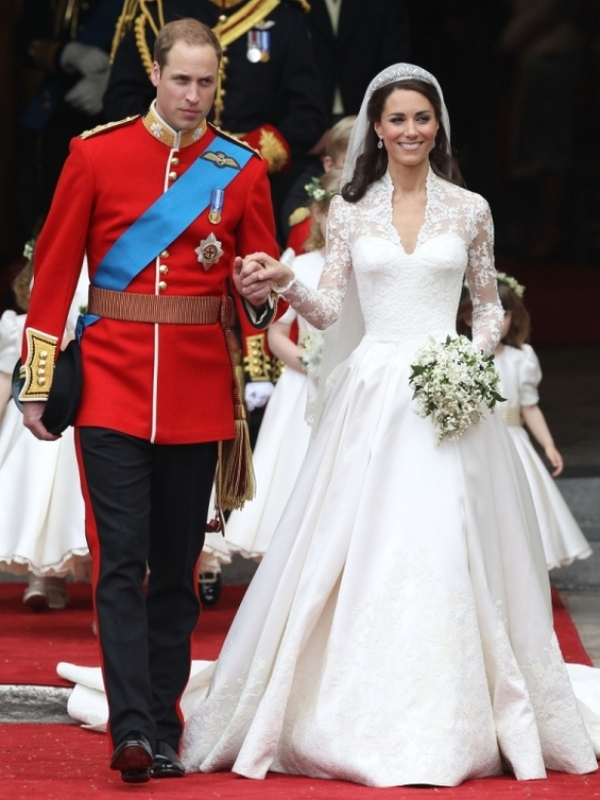 And since nothing got out, Catherine appeared in her first choice, the wedding dress designed by British designer Sarah Burton for Alexander McQueen. Because carrying that 8 foot train all day and night isn't exactly easy, Kate decided to wear a second wedding dress at the party, and she looked stunning. Kate Middleton shined and dazzled the guests at the wedding reception with another McQueen creation, a simplistic strapless white satin gown featuring a subtle and simple cleavage and a gorgeous diamante detailing around the waist. 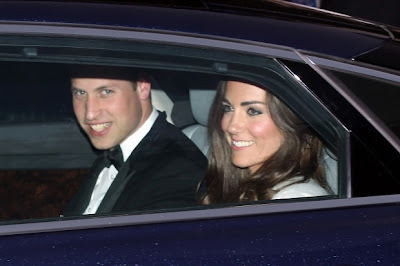 To give her gown a little bit of a modern touch and emphasize the small details, Kate opted for a simple white angora shrug that kept her warm. 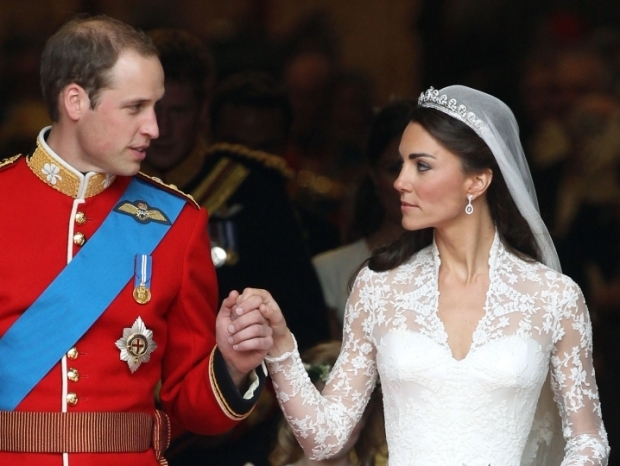 It's not uncommon for brides and grooms to have a quick change into something more comfortable and so no one was surprised of the couple's choice as Prince William also ditched his military uniform over a black tuxedo. Kate also ditched her glam and glitzy tiara that was lent to her by the Queen for this particular day and allowed her luscious wavy locks to glide gently and naturally around her delicate facial features. Naturalness was best underlined by Catherine and she has proven herself to be fit for a Prince. Middleton's marvelous wedding gown and her exquisite veil and find out what jewelry she wore for her royal wedding to Prince William. Ever since the royal engagement was announced, the world has been waiting impatiently to see Kate Middleton's wedding dress. Today the royal bride finally walked down the aisle at Westminster Abbey wearing a stunning lace wedding gown, designed by no other than Sarah Burton of the Alexander McQueen fashion house. Kate Middleton herself worked closely with the designer to make sure she'll get the perfect gown for the royal wedding. The ivory satin bridal gown featured a lace applique bodice with a restrained, high lace collar, long lace sleeves and an 8 foot long train. The gown's bodice was narrowed down the waist and padded at the hips inspired by Victorian corsetry. Kate's silk tulle veil was embroidered with rose, thistle, daffodil and shamrock lace flowers. 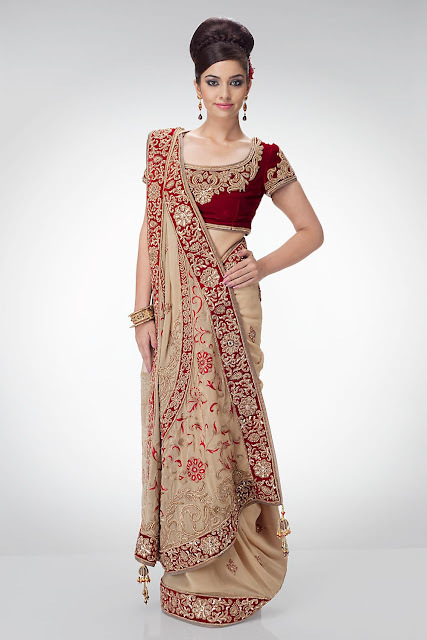 The intricate lace was hand-crafted at London's Royal School of Needlework based at Hampton Court Palace. Kate Middleton's shoes were also designed by the McQueen fashion house, made of ivory satin with hand-embroidered lace details to complement her wedding gown perfectly. The diamond tiara topped Kate Middleton's wedding hairstyle, which she wore in her trademark loose waves pulled back into a half updo. The tiara was lent to her by the Queen, which was given to her by Cartier in 1938 for her 18th birthday when she was still a princess. The royal bride accessorized with pear-shaped diamond earrings designed by fine jeweler Robinson Pelham and were inspired by the Middleton's new coat of arms, which was given to the family earlier this month. Kate Middleton’s wedding bouquet was made up of myrtle, lily of the valley, sweet William and hyacinth, designed by Shane Connolly. The flowers from her bridal bouquet all have a special meaning: the myrtle is the emblem of love and marriage, the lily of the valley is the return of happiness, sweet William stands for gallantry, while the hyacinth symbolizes constancy of love. 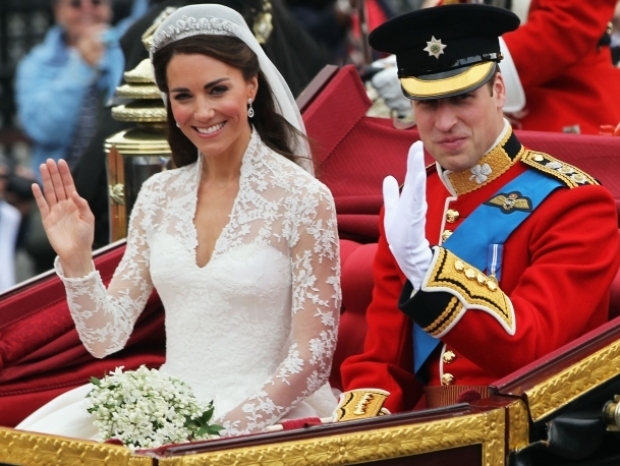 Top fashion designers all over the world expressed their excitement about Kate Middleton's wedding gown. Chanel creative director Karl Lagerfeld said: "She is very elegant. The dress is classic and goes very well in the Westminster decor. It almost reminds me of (Queen) Elizabeth’s wedding, the royal weddings in the Fifties. The proportion of the train is good. The lace is very pretty. I like the veil a lot." French couturier Christian Lacroix cited the likeness of the royal wedding gown to 1956 Grace Kelly and 1947 Queen Elizabeth dresses, while Donatella Versace simply said: "Kate's dress was beautiful. She looked very regal."